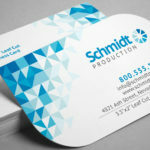 Your business card design separates you from your competitors. 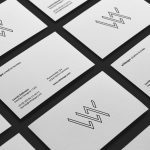 It is no longer enough to have an elegant design on your business cards. Make the best impression on your potential clients by coming up with a design that’s in line with your branding and possesses something that stands out. Some of the unique options you can explore are: printing on plastic cards, adding foil to your design elements, opting for die cut shapes, using magnets, and using unique shapes and colors. 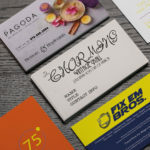 Below is a list of the best business card designs and concepts that can help make your business much more memorable to your possible customers. 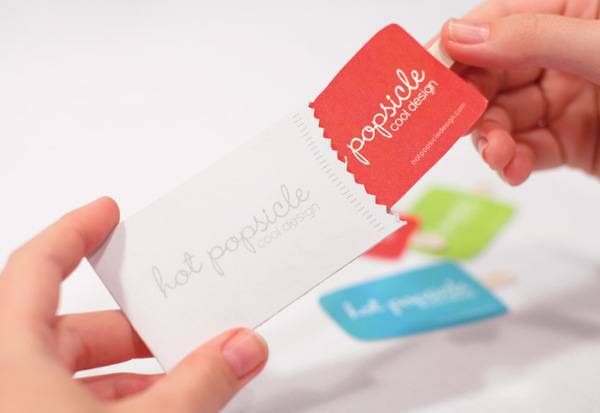 Hot Popsicle, a fictional graphic design firm, innovates how a business card should look like in relation to their branding. The designers took the concept of a popsicle stick and applied it on the business card. To view the content, the recipient must pull out the stick from the outer covering of the card, serving as the wrapper. The fascination for everything old school lies in the simplicity and deceptive elegance from the designs that were coming out during the time. Game Cash, a video game store in France, goes all retro by taking the appearance of a Game Boy portable console. 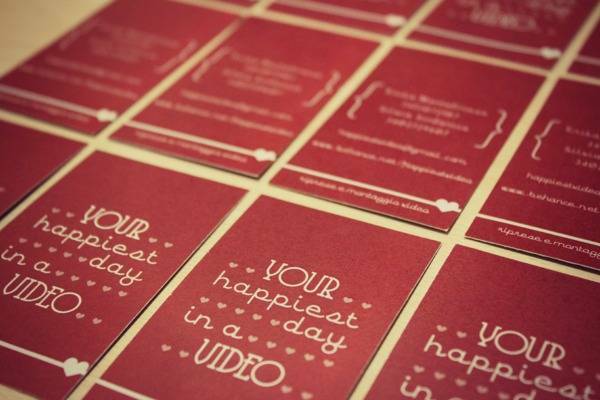 There are business card designs that utilize typography and empty spaces to their advantage – Your Happiest Video in a Day is one of them. 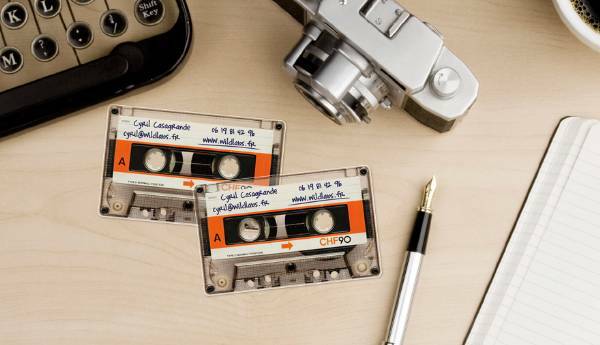 Prior to this design by Wildlabs, the cassette tape business card has been done by Japanese designer Koji Sueyoshi. However, unlike the standard card stock used on Sueyoshi’s design, Wildlabs used transparent material to print over, making the cassette tape design appear more realistic. 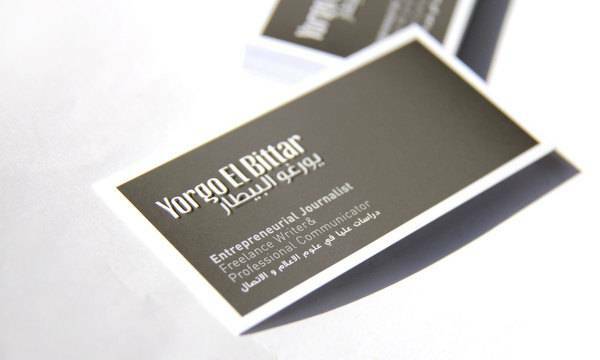 Aside from using empty spaces and large font to emphasize important details on your business card, Yorgo el Bittar’s card design made by Maher Bayoumi shows how embossing the text adds presentation value. 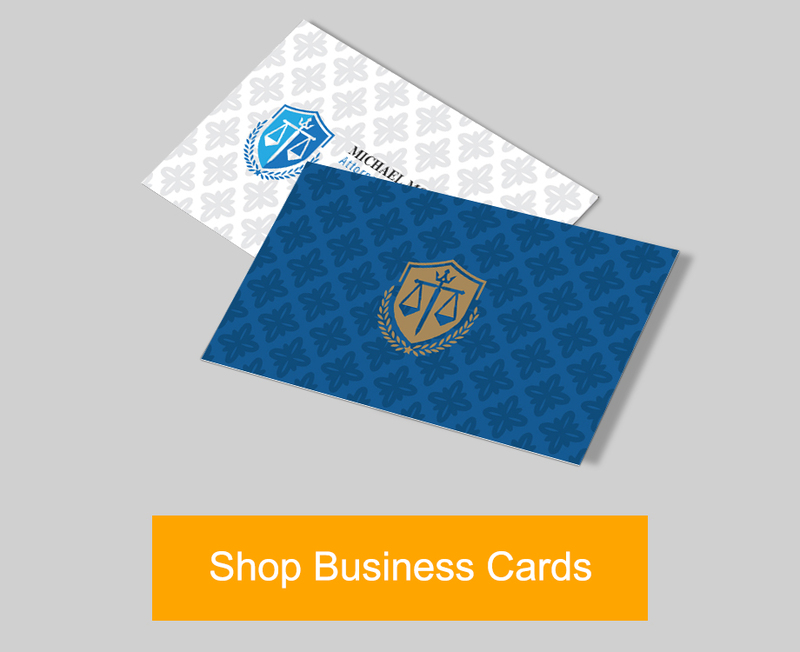 Pop-ups on your business cards add a different dimension on how your potential customers should view your cards. Aside from handing out this memorable business card, the ‘b’ in Base One is printed with a link to the business’s campaign microsite at the back. Pop-ups on business cards can help elevate your branding campaign, as the striking design example above reiterates “M” as a brand. 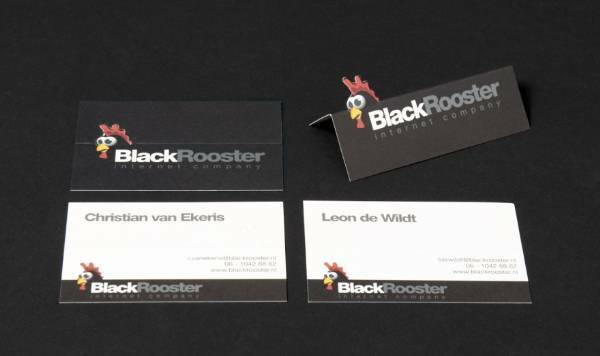 Black Rooster offers slick web development services in Netherlands. 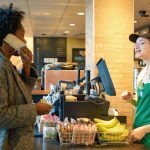 To maintain consistency of their brand in their marketing tools, the company designs their business cards following the same zaniness as defined by their mascot. The cards can be folded so that the head of the rooster pops out. Having a business card size outside the standard 2″ x 3.5″ can be problematic to some, but graphic designer Joash Berkeley make his 1.5″ business card work. The information provided on the print may not be enough to call this a business card in a classical sense. However, it does have a perforated QR code that people can access using their smartphones. 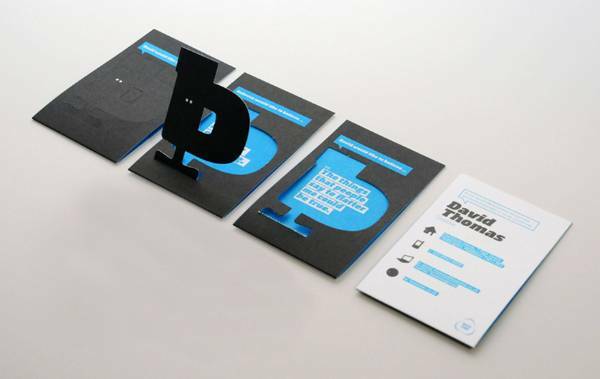 This business card design puts the QR code as a focal point of the marketing tool. With the advancement being made in how we access each other’s information, Mr. Berkeley’s card is a perfect example of integrated marketing. 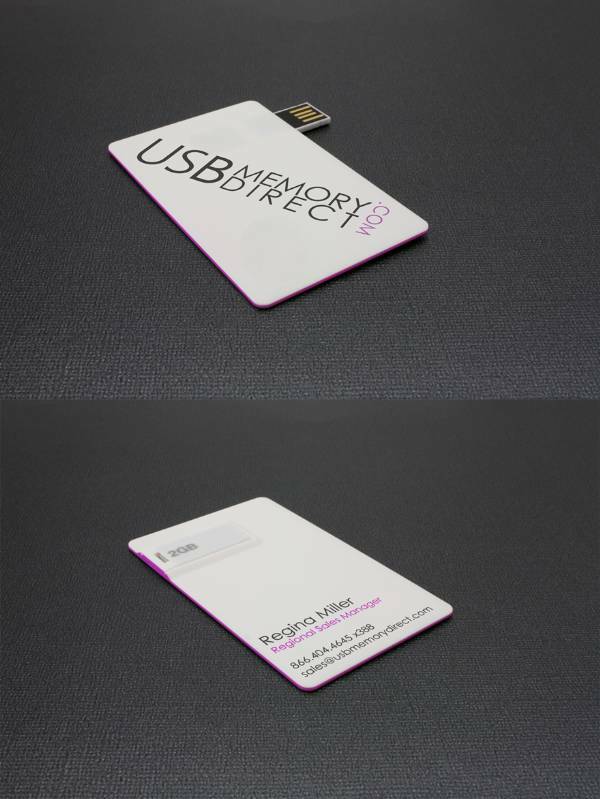 Along the lines of integrated marketing, USB Memory Direct incorporates a 2GB flash drive embedded onto the card’s stock. Unlike most business card designs featured on the post, there’s a great possibility that people will yank this card out from their card holders. Instead of just holding information about a person, the flash drive makes the card much more usable and valuable. Did we miss out on other business card designs that made their mark this 2018? Let us know by commenting below! Disclaimer: We at PrintRunner have posted images on this post mainly for design inspiration purposes. Click on the image to view their source page. Also, we may not be able to produce the exact options and material used on the featured product. Call 1-888-774-6889 to learn what design choices you can select for your print order. 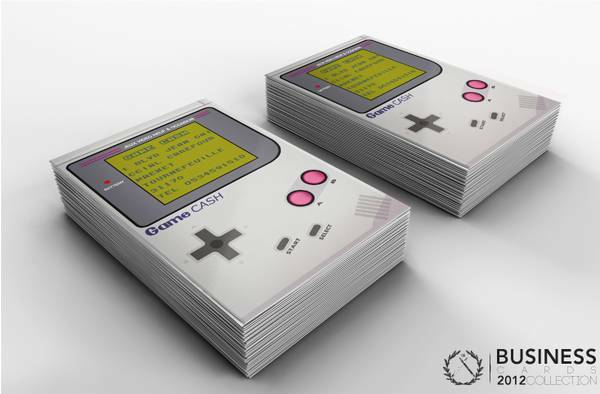 1 Comment on "10 Most Inventive Business Card Designs"
I am the designer of Yorgo Bittar’s Business Cards. I just figured out that the “source” link isn’t working. Can you please check it out?